There are a lot of arguments that can be made about releasing fish after they are caught, or keeping them for the table. There are times that I keep fish to eat, especially Salmon. But more often than not, I would rather throw a fish back to give it time to grow bigger and catch it again. Land it quickly! Starting with the fight to bring your fish to the boat or shore you can start preparing to release the fish safely. The more tired a fish is when you release it, the lower its chances for survival. Try not to fight the fish for any longer than you have to. The more energy a fish has when you put it back in the water, the easier it will swim away. Use a rubber coated net. The next step is to choose a rubber net. Both rubber coated nets and netting made out of rubber are more gentle on a fish's delicate slime layer. Keeping the slime layer intact helps keep fish healthy when they return to the water. Leave the fish in the water. When possible, remove the hook without taking the fish out of the water. This works best with smaller fish when you aren't worried about snapping a picture. This reduces the amount of the time the fish is out of the water and unable to breath. Wet your hands. Another step to reduce the damage to the fish's slime layer is to wet your hands before handling any fish. This again reduces the chances of damaging the slime layer, which improves the survival rate of the fish. Hold the fish correctly. 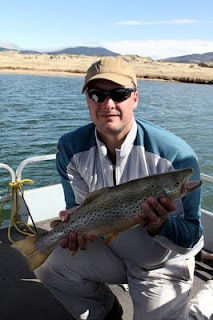 These days it is easy to find pictures of anglers holding fish by their gill plate. If you are releasing the fish, you don't want to risk injuring the delicate gills. Imagine someone sticking a finger in your lungs! The safest way to hold a fish is with one hand on the tail and the other supporting the belly. Take a quick picture. It's best to get the fish back in the water as soon as possible, which isn't always easy when trying to take a photo. When possible, try to have your camera ready and set to take your trophy picture. The quicker you get that keeper photo, the quicker you can return the fish to the water. Take time to revive. When you're ready to return the fish to the water, hold the fish in the water while it starts to recover. You can face the fish into a current or the direction of travel of your boat to get water flow past the gills. The extra support and time can make the difference between a fish that swims off and one that floats to the surface. What to do with the gut hook. Occasionally a fish will swallow your your hook hard. While this seems to be more common with bait fishing, it is possible with other small hooks. To help prevent gut hooking you can use circle hooks while bait fishing. If a fish does get gut hooked and you can't easily get to the hook, cut the line as deep as you can and leave the hook in place. It isn't great for a fish to have a hook, but a gut hook will likely cause more damage when you try to remove it. Hopefully these tips will help keep your fishery healthy and growing. Each fish released has an opportunity to grow larger and gives another person the pleasure of catching it. Trolling with leadcore line- What is it? Trolling with leadcore line- Getting set up. 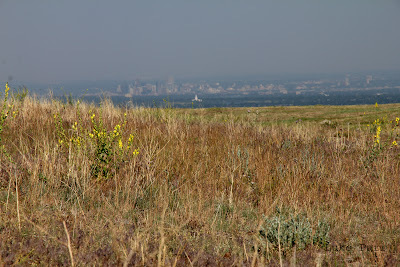 Jefferson County Open Space provides over 51,000 acres of public land in the foothills west of Denver. These parks cover various parts of Jefferson County, and offer access to hiking, mountain biking, picnicking and wildlife. The mountain is the result of three lava flows that originated from the Ralston Dike located about two miles northwest of the mountain. After centuries of weathering, North Table Mountain has been transformed into an area that contains several different types of habitat. 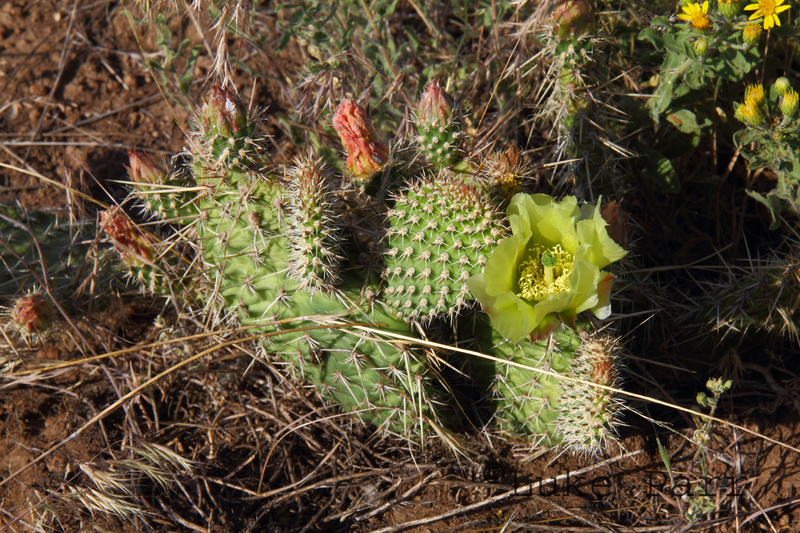 These habitat types include grasslands, shrub communities, lichen rock gardens, riparian, shore and cliff habitat. 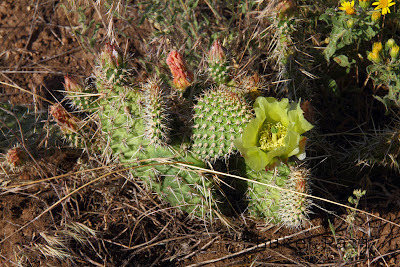 Although human activity has occurred over the years, it is still considered high-quality habitat and in 1993 the Colorado Natural Heritage Program classified North Table Mountain as one of only twenty-seven Conservation Sites in the County. 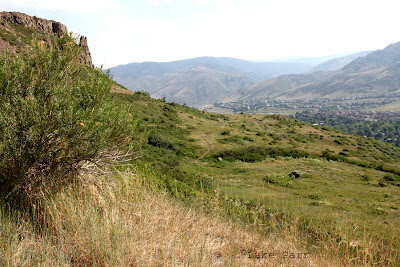 For an easier hike or bike ride, you can travel around the trail along the perimeter of the mountain. It offers rolling hills and skirts along some of the nearby neighborhoods. 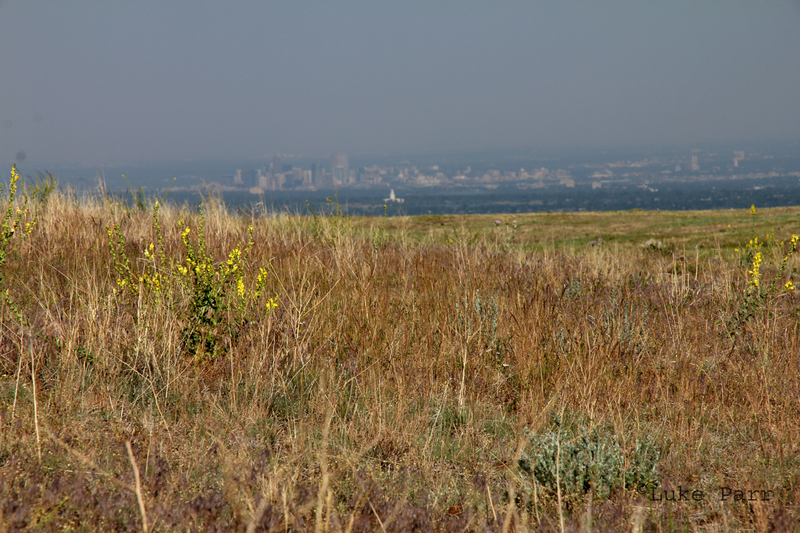 For a better view of the mountains to the west and downtown Denver to the east, hike up the steep, but relatively short trails to the top. 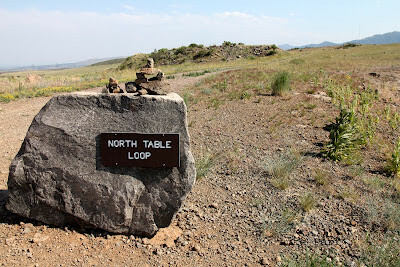 If you hike up to the top of the mountain from the trail head marked in the map below, you will end up on top of North Table Mountain and have a choice between the North Table Loop above and the Tilting Mesa Trail further above. 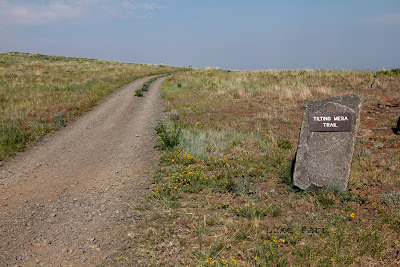 These trails meander across the top of the mountain and have gentle hills, but no major climbs. 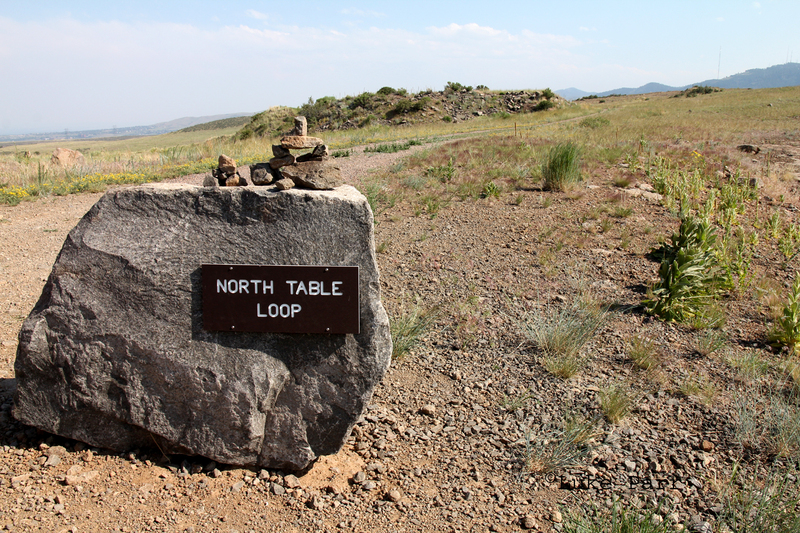 Have you hiked at North Table Mountain? Let me know your favorite front range hiking spot in the comments below.